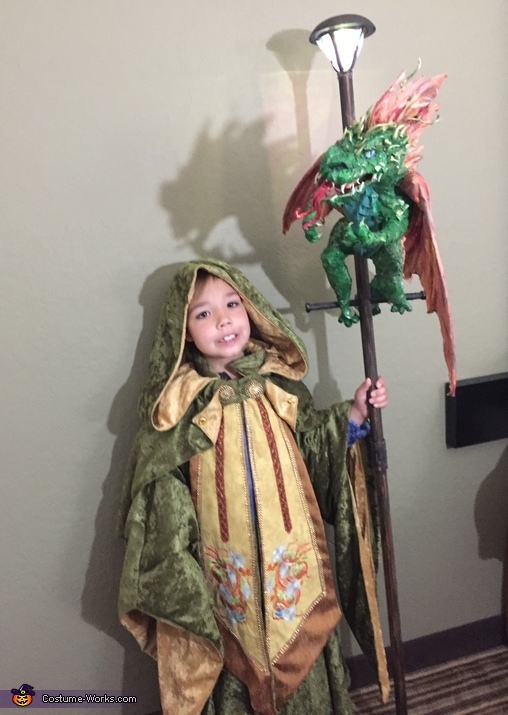 I made this costume for my grandson Ryan. He's a dragon master wizard. But in order to do that I had to make him a dragon first which is the papier-mâché dragon you see on the pole. The cake was made from a simplicity pattern 1040 A that I modified to add sleeves.